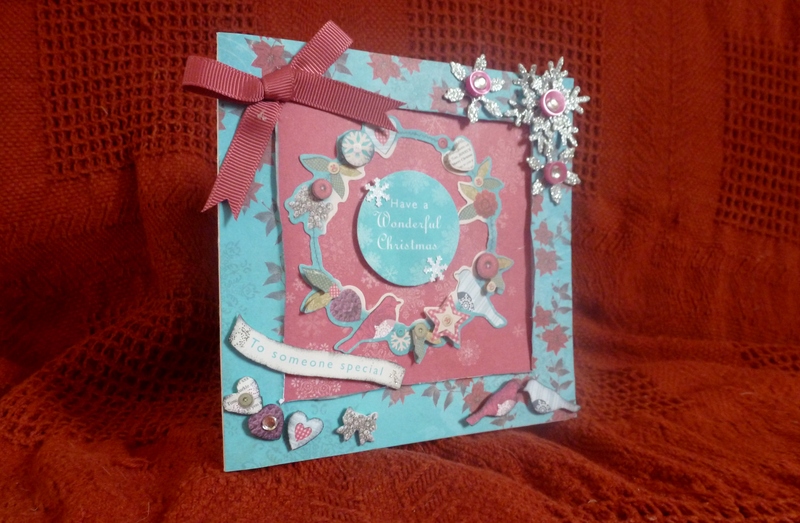 Here is a card I made using the Bellisima papers from papermania. The colours dont show up as bright as they actually are in this photo. 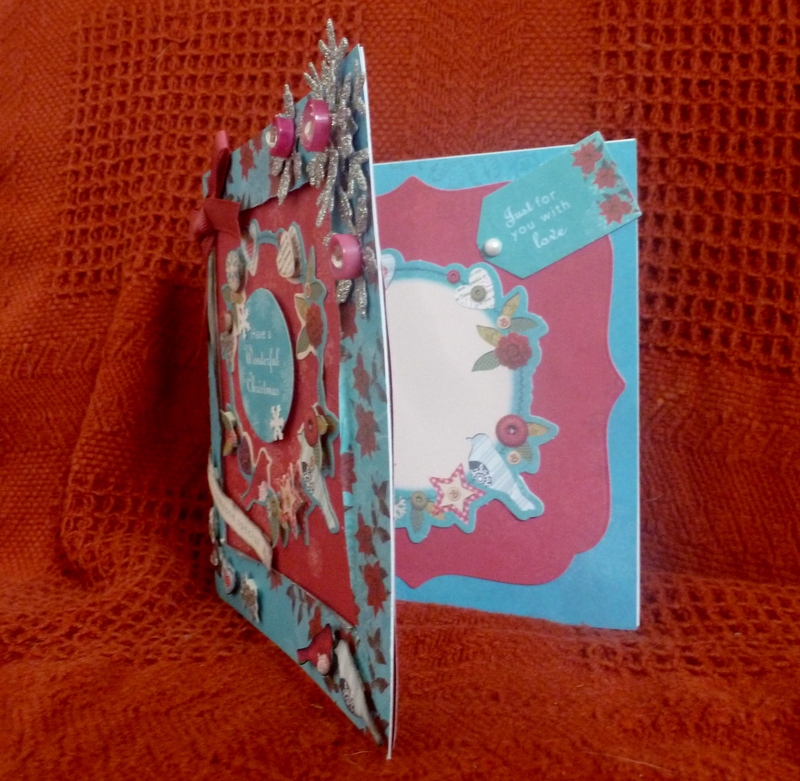 Here is a card I made for a fellow do-crafters Ruby Wedding. Embossed and inked background, and birds and border die and message added. 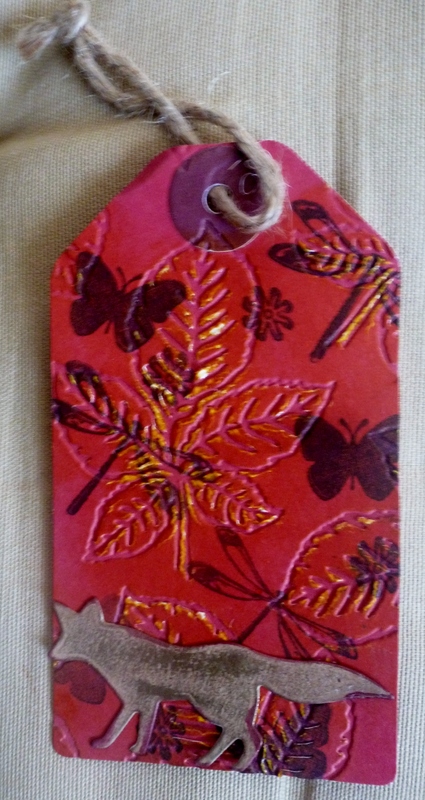 I made this Christmas tag on its own before deciding it would look better on a card! 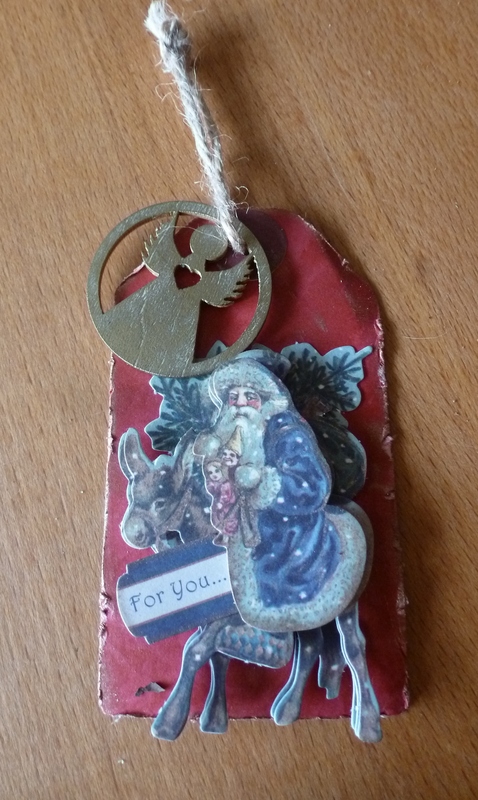 (to follow) and its made from a lovely dark red tag and papermania Vintage Christmas Santa. 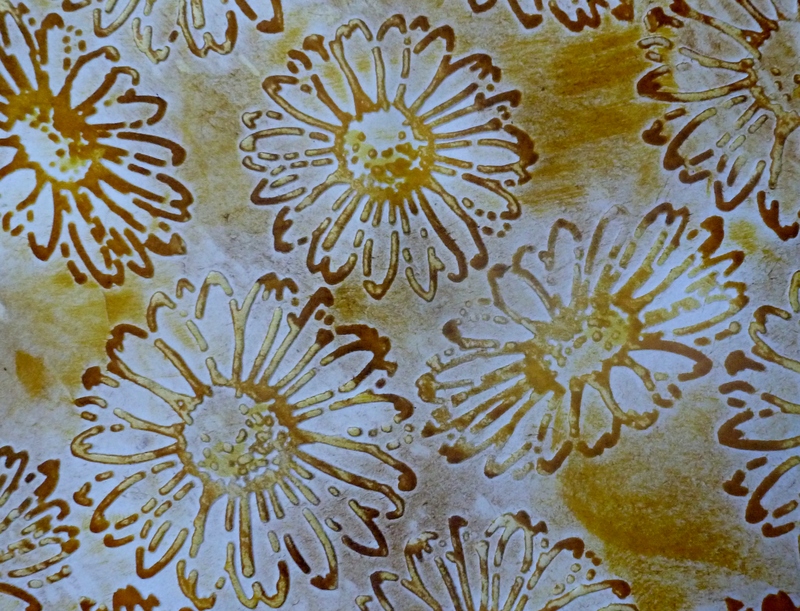 I distressed the edges of the tag and used gold on it. Also used my Treasure Gold (Olive Gold) on the wooden Angel shape, free with Creativity Magazine. 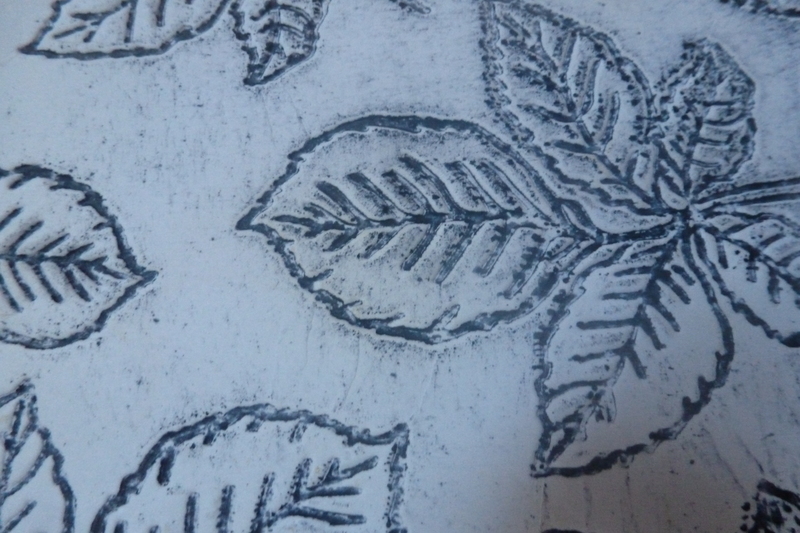 Here are a few bits of embossing Ive been having fun with. 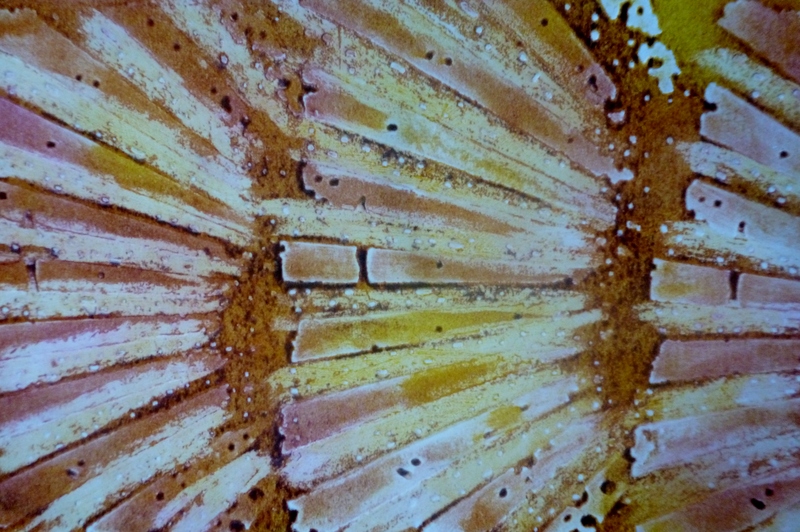 I used White crayon as a resist on the raised areas on some and then inked over the top of the crayon. They look far better in reality! Now, what to do with them? 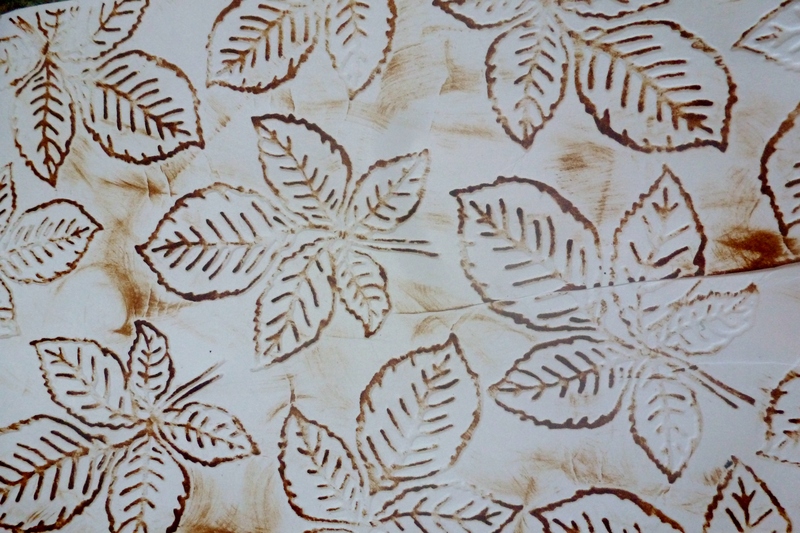 !The leaves and flowers embossing folders are from Sheena and the sunrays are of course, Tim Holtz! 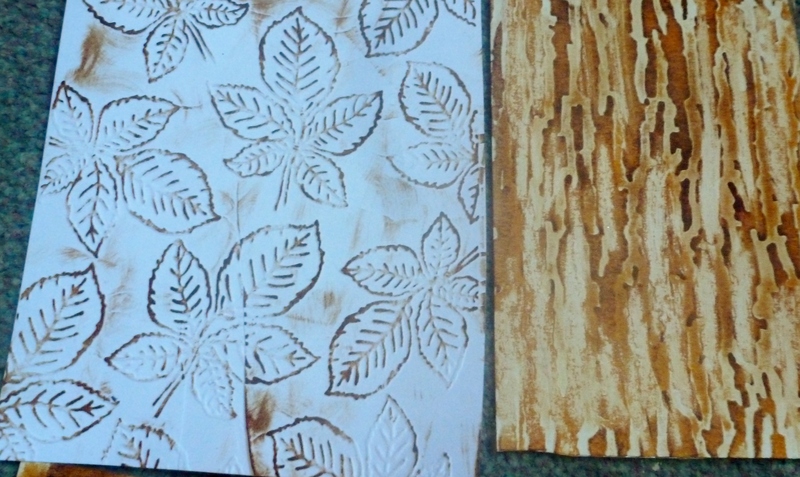 Cant recall the wood grain one make, sorry! 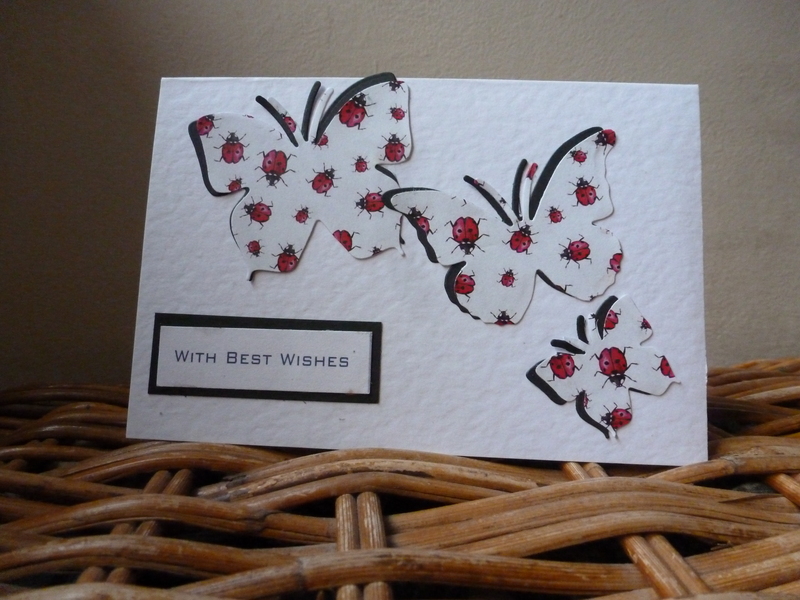 Here is a simple butterfly card (made in my lost mojo period, lol) with die cut butterflies and a simple message on hammered card. Hello everyone, well my mojo seems to have left me lately! I see all the wonderful makes that my team members at docrafts have made and feel woefully lacking in inspiration! Hope you think otherwise with what you see on here! 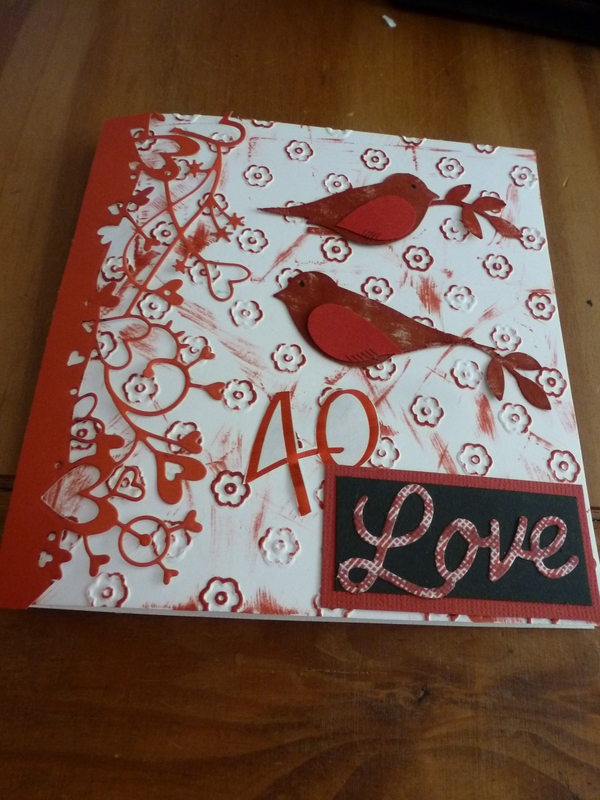 This is a card I made by embossing with a clock embossing folder and dabbing with brown and red inks. 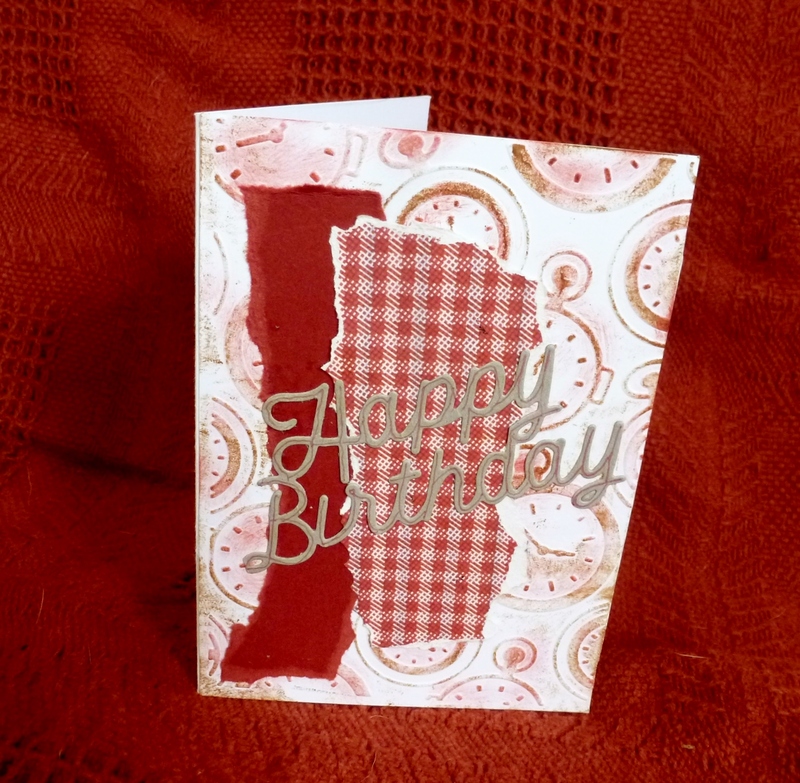 Added two strips of torn paper and a Happy Birthday die.